Beirut (AFP) - Dozens of relatives of Islamic State group fighters were killed Friday in Syria in US-led strikes, regime or Russian raids, after the UN urged nations striking the jihadists to protect civilians. Raids by the US-led coalition have pounded IS positions across Iraq and Syria since the jihadist group claimed responsibility for the devastating bombing of a concert in Manchester on Monday. 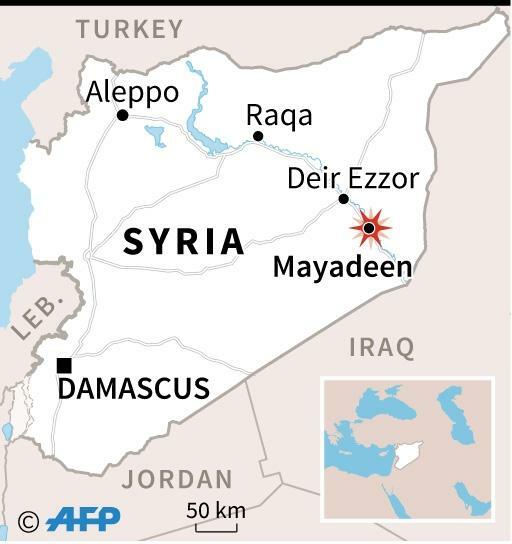 Scores of civilians, many of them families of IS members, have been killed in bombing raids in recent days on the eastern Syrian town of Mayadeen, held by IS since 2014. 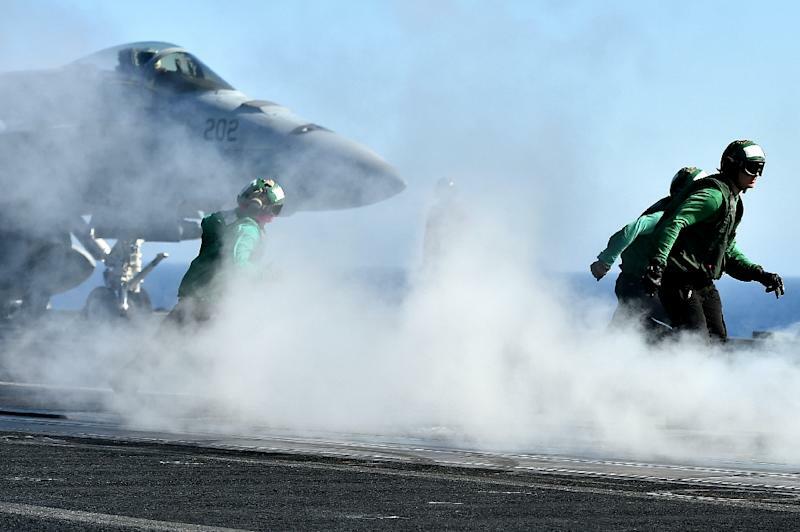 Early Friday, at least 80 relatives of IS fighters were killed in US-led coalition bombardment, according to the Syrian Observatory for Human Rights. "The toll includes 33 children. They were families seeking refuge in the town's municipal building," said Observatory head Rami Abdel Rahman. "This is the highest toll for relatives of IS members in Syria," he told AFP. Coalition strikes on the town killed 37 civilians on Thursday night after 15 had been killed on Wednesday, according to the Britain-based Observatory. The US military on Friday confirmed that it had struck "near Mayadeen" on May 25 and 26, but said it was "still assessing the results of those strikes", according to Pentagon spokesman Eric Pahon. The US military insists that it takes every precaution to avoid hitting civilians, but the United Nations on Friday urged parties bombing IS to do more. 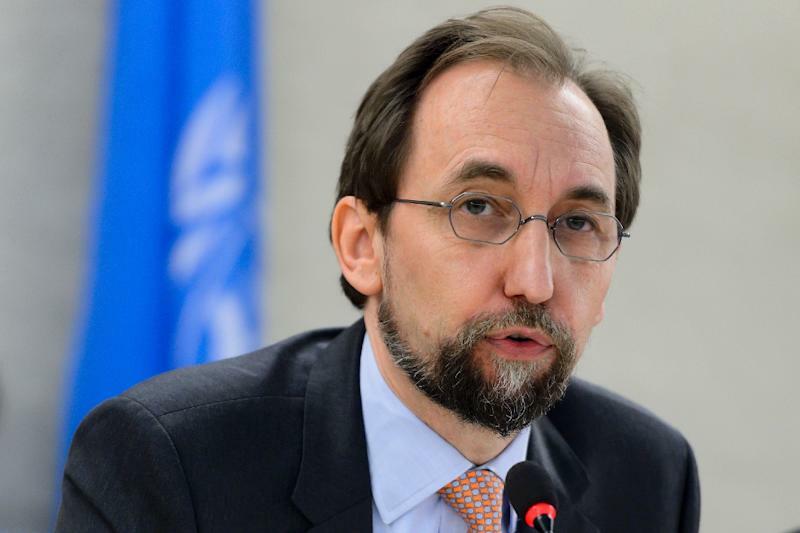 UN human rights chief Zeid Ra'ad Al Hussein said "all states" whose air forces are active in the anti-IS missions needed "to take much greater care to distinguish between legitimate military targets and civilians". The Observatory also reported a strike by Russian or Syrian regime aircraft Friday that killed "16 civilian" members of jihadist families in the central province of Hama. It said the raid struck the IS-held village of Ouqayribat, northwest of UNESCO World Heritage city of Palmyra. Troops loyal to President Bashar al-Assad have been waging a multi-pronged offensive in the east to reach the strategic border territory. They scored a key victory this week by linking the capital Damascus to the Palmyra. It was the first time the government has been in full control of the Damascus-Palmyra highway since 2014, according to Abdel Rahman. With backing from Russian air strikes, regime fighters "pushed IS fighters out of desert territory amounting to more than 1,000 square kilometres (390 square miles)", he said on Friday. According to geography expert Fabrice Balanche, the government now controls 46 percent of Syria, compared with 36 percent in March. Kurdish forces and IS each control 21 percent, and rebels just 12 percent. Mayadeen town has seen an influx of displaced families from IS-held territory in Iraq and Syria, including its bastion Raqa. It is in Syria's oil-rich east near the border with Iraq -- a region considered a prize by many of IS's enemies including the Syrian army. A decades-old ally of Damascus, Moscow has been carrying out air strikes in support of Assad's troops since September 2015 -- a year after the American-led coalition began targeting IS in Syria. The coalition is now backing twin ground offensives against IS's last main bastion cities -- Raqa in northern Syria and Mosul in neighbouring Iraq. The 68-member coalition began bombing IS in Iraq in the summer of 2014, and expanded operations to Syria on September 23 that year. On Thursday, a Pentagon investigation concluded that at least 105 civilians died in an anti-jihadist air strike on an IS weapons cache in Mosul in March. Before the new revelation, the US military had said coalition air strikes in Iraq and Syria had "unintentionally" killed 352 civilians since 2014. Airwars, a London-based collective of journalists and researchers that tracks civilian deaths in Iraq and Syria, claims a minimum of 3,681 people have died in coalition strikes -- between 283 and 366 in April alone. Reports of civilian casualties in the air campaign have swelled in recent days. On May 20, US Defence Secretary Jim Mattis said US President Donald Trump had instructed the Pentagon to "annihilate" IS in Syria in a bid to prevent escaped foreign fighters from returning home. The president has "directed a tactical shift from shoving ISIS out of safe locations in an attrition fight to surrounding the enemy in their strongholds so we can annihilate ISIS", Mattis said, using an acronym for IS. But the Pentagon has denied that its rules of engagement have changed and insists that the coalition continues to strike only "military-appropriate targets".